The Opoutere Ratepayers & Residents Association (ORRA) gratefully acknowledges the support of the Waikato Regional Council’s Small Scale Community Initiatives Fund. In 2017 ORRA received a little over $4,150 towards traps, bait stations and bait. This new gear is all out in the bush right now, regularly catching stoats, rats and hedgehogs. We are saving our precious birdlife and allowing the native trees to recover from the effects of predator browsing. Our latest funding success of just under $5000 covers the cost of weed paste, cutting tools, safety gear for our volunteers and pest lures for our predator traps. We are very proud of the cooperative relationship that we enjoy with the staff at WRC who are always there for a friendly chat and useful advice. Please join your community on working bees (if you are able) and consider signing on as a trap-checking volunteer. This helps us to maximise the value of our funding dollars and , in turn, recognises the generosity of our regional council. Rats, stoats, possums, hedgehogs and feral cats are a major threat to our local forest and its birdlife. Ongoing pest management programs are the only way we can protect this precious biodiversity. TCDC and DoC have their own modest pest control programs operating in Opoutere but when private individuals get involved a serious impact on animal pest numbers can be achieved. Opoutere is lucky to have the combined efforts of ORRA and the Wharekawa Catchment Care Group complementing the work done by many private individuals to eradicate animal pests. By joining either of these groups you will have access to good bait stations and traps that you can use on your own property. There is the added bonus of years of experience and advice available as well. Thanks to a recent grant from the Waikato Regional Council Small Scale Initiatives fund we have purchased a number of Goodnature gas powered traps. Early results were very encouraging: 2 possums in two days. 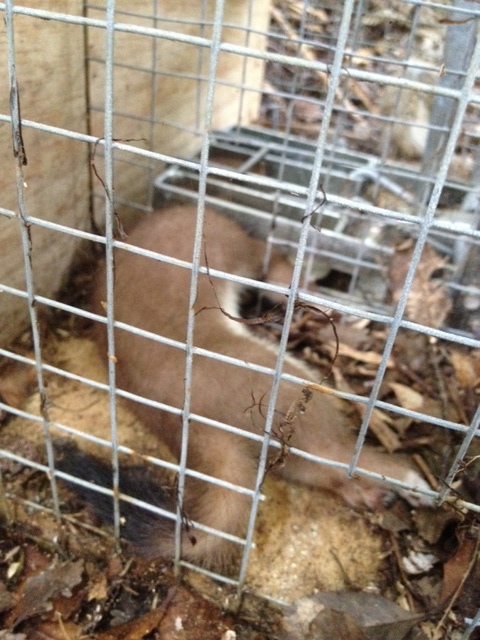 2015 trapping results to date; 4 stoats, 7 rats, 7 hedgehogs and 7 possums. We are aware that some carcasses are carried away (by dogs/cats/even stoats and rats) from the traps before we can count them, so the true count will be even higher. We are planning on installing counter mechanisms on our Goodnature traps to monitor the gas canisters, this will make our kill tallies more accurate as well. 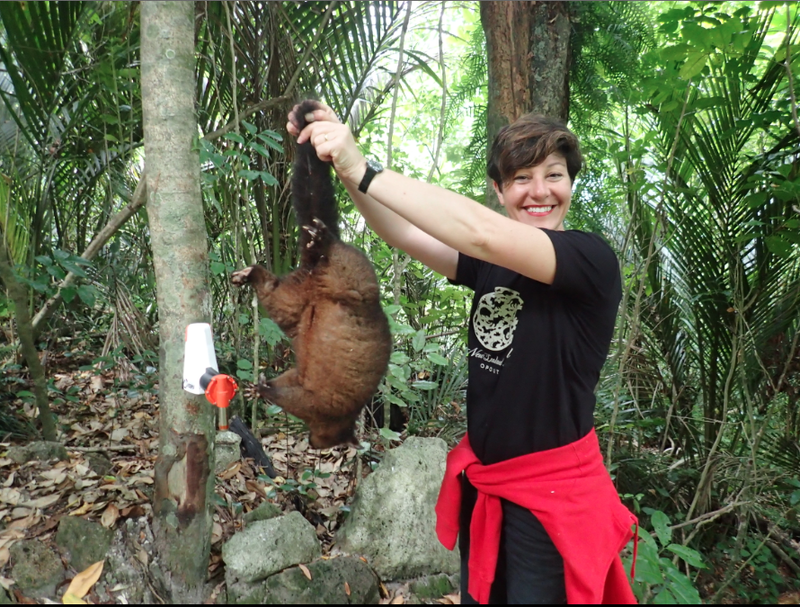 ORRA would like to acknowledge the generous grants awarded by the Department of Conservation and Waikato Regional Council to help us continue our work in animal pest and weed control in the Opoutere area. In March the Department of Conservation allocated $4000 from its Waikato Community Conservation Fund to ORRA to purchase tools, poison and safety gear to be used when clearing elaeagnus, a very invasive climbing plant that has become established in the coastal broadleaf forest between the YHA and the Maungaruawahine summit. In April Waikato Regional Council granted $4,590.16 from its Small Scale Community Initiatives Fund for the purchase of Goodnature possum traps to protect the forest which will regenerate as we clear the elaeagnus and employ local contractors to remove some elaeagnus that is growing in high areas not safely accessed by working bee volunteers. We have committed to a long-term programme of cutting the plants, pasting the stumps and chopping the debris to form a mulch on the forest floor. Complementing this approach we hope to start actively replanting the forest floor (no seedlings can germinate under the dense canopy of elaeagnus) to prevent further weed strike in the lovely open areas. This funding recognises the on-going efforts of our community, we would like to extend our sincere thanks to DoC and WRC for giving us the means to continue this work. For just $115 your family gets a specially engraved DOC 200 stoat and rat trap. Trained volunteers will place the trap in the bush, mark its location using a GPS unit and monitor it. It’s that easy. Call Chris on 021418119 or simply deposit $115 into ORRA’s bank account: 02 0472 0055704 00, put “pest cntrl” in the reference field and your name for engraving in the code field. If you have any questions or want to get involved please drop us a line in the box below. ORRA and the Wharekawa Catchment Care Group co-ordinate regular weed busting working bees, whether it’s consented mangrove seedling removal or nasty bush-bashing to attack invasive plants that threaten our native forest. Over the years local personalities have singlehandedly knocked back privet, ginger and jasmine and through organised blitzes the community has earned local government recognition for our weed eradication efforts. However, it requires a concerted, community-wide approach to keep weeds under control. If you notice weeds growing on your own land get rid of them, ideally before they flower. Check out the Waikato Regional Council’s page on pest plants. Once you’ve nailed the weeds, what to do with the gaps? Eco-sourced plants keep the birds happy and support the area’s unique biodiversity. A good rule of thumb is to look at the natives that grow as seedlings under large trees, i.e., nikau, kawakawa, grasses, etc. The birds have excreted the seeds of their favourite plants with a perfectly measured dose of fertiliser! Sadly, this process often produces baby weeds as well, so keep your eyes peeled for ginger, ink weed and other nasties. The Wharekawa Catchment Care Group has a special relationship with the local Opoutere School children who help with the planting of native seedlings. Plants in deep shade produce few or no seed, so begin control on margins to minimise reseeding. 1. Cut down and paint stump (all year round): cut above pink ‘collar’ at base and apply or glyphosate (250ml/L) or metsulfuron-methyl 600g/kg (1g /L). Leave stems and leaves on site to rot down. 2. Dig or pull out small plants (all year round). Don’t compost, leave on site to rot down or hang rhizomes in trees, as they survive indefinitely. Dispose of rhizomes at a refuse transfer station or by drying out and burning. 3. Spray (all year round): metsulfuron-methyl 600g/kg (5g/10L knapsack). Add penetrant in winter. For dense patches keep spray away from roots of vulnerable plants. Don’t replant sprayed sites for 6 months.